Australia’s current organ donation rates are very low, particularly in comparison to several European countries such as Span and Austria. Many Australians wait for many years to receive organs that they desperately need, and many die while waiting. Australia’s current organ donation system is based on express consent, with the intending donors registering that intent at the Australian Organ Donation Registry. However, given that organs can only be donated in certain circumstances, this system is proving to be inadequate. This article compares the current express consent (or “opt-in”) system and the presumed consent (or “opt-out”) system used in the European countries that have significantly higher donation rates. It suggests reforms to Australian legislation to change the current system to that of presumed consent and considers whether it is likely to work in Australian society. In Australia, as in other countries, organ donation is a highly successful treatment for people with illnesses affecting their own organs. With technological improvements and research on immunosuppressant drugs, the rate of organ rejection has declined significantly, in turn dramatically increasing the demand for organ transplants. More people are becoming eligible organ recipients; however, the supply to meet this demand has remained stagnant. There is not a shortage of organs suitable for transplantation; they are just not available to be transplanted. As a result, many people either die while on a waiting list for an organ, or never make the list at all. On average, about one Australian a week dies while waiting for a transplant. In some extreme cases, organ donation patients travel overseas and pay large sums of money to receive an organ, often illegally. Australia has one of the lowest organ donation rates in the world despite a growing population and the constant improvement of technology. With such a low success rate, a widely debated option for reform is a presumed consent or “opt-out” system. Under such a system, Australians would be regarded as having impliedly consented to donating their organs after death unless they registered their objection to the contrary . This would mean that medical practitioners would be permitted to remove a person’s organs after death where that person had not actually registered intent (or consent) to do so, or their family could not be found. Whether or not a family could object to the organ harvesting would depend on the model of presumed consent used. These models are discussed below. Presumed consent laws are based on a belief that, while people are hesitant to face their own mortality, they would normally agree to donate their organs despite not actually registering as such. Circumstances surrounding organ donation are rife with controversy. While there may be thousands of people who register to donate or who would consent to donating their relative’s organs, there are also many who would not, thereby decreasing the organ procurement pool. Furthermore, the circumstances in which a person can become a donor are limited. Organs will only be viable for donation for a very short period of time before they themselves die and cannot be revived. As a result, the organ donation process needs to be undertaken quickly and is often very difficult for the donor’s family, while life-changing for the recipient. In addition, potential donors are found only in limited situations. Two types of death create viable organs for donation: brain death and cardiac death. The most common type is brain death, where the potential donor is kept alive by artificial means, simultaneously prolonging the organs’ viability until transplantation. In addition to viability being prolonged, it allows additional time for families to be consulted and the recipient to be prepared. The disadvantage of donation following brain death (apart from the death of the donor) is that brain death can occur quite quickly, eg as a result of motor vehicle accidents, other significant injuries and conditions such as aneurisms. This means that often the potential donor’s wishes are unknown. It is these circumstances that provide for perfect organ donors because the organs are otherwise healthy – it is just the brain that has died. However, due to the unforeseeable nature of sudden brain death, families are traumatised and grieving, and the request for donation may be too much for many to handle. Likewise, it is suggested that many people do not register their intent to donate their organs purely because they do not want to face their own mortality, or do not consider it likely that they will become brain dead after an accident. Cardiac death is different because it is when the heart stops which causes death, rather than ceased brain function. Because the heart stops there is no longer blood running through the other organs, which means the time in which they remain viable for transplantation is significantly less than in brain death, and the whole harvesting process must be done much more quickly. Sometimes families have a longer time to prepare for this type of death, depending on the circumstances, and while they are still grieving, they may have already thought about potential organ donation, or at least discussed it with the dying person. Following the death of a loved one, organ donation may be the last consideration for many families and some may be offended when approached by a medical professional in that regard. Presumed consent may help to relieve some families from having to deal with donation requests when the potential donor may not have registered intent to donate directly with the Australian Organ Donation Register (AODR). While the system of presumed consent seems viable based upon the belief that many people are willing to donate, many legal and ethical issues need to be considered prior to any steps toward implementation. For example, while presumed consent may relieve some family members from having to give consent at an emotional and distressing time, the families who object to organ donation may find themselves in just as upsetting a position were they to find out that their relative’s organs had been donated without their consent. After discussing the issues surrounding Australia’s current organ donation system and the successes and failures of presumed consent in international jurisdictions, this article discusses how a presumed consent system would need to be implemented in Australia to work at both a legal and policy level, and why it would be beneficial to the Australian community in terms of increasing organ donation rates. 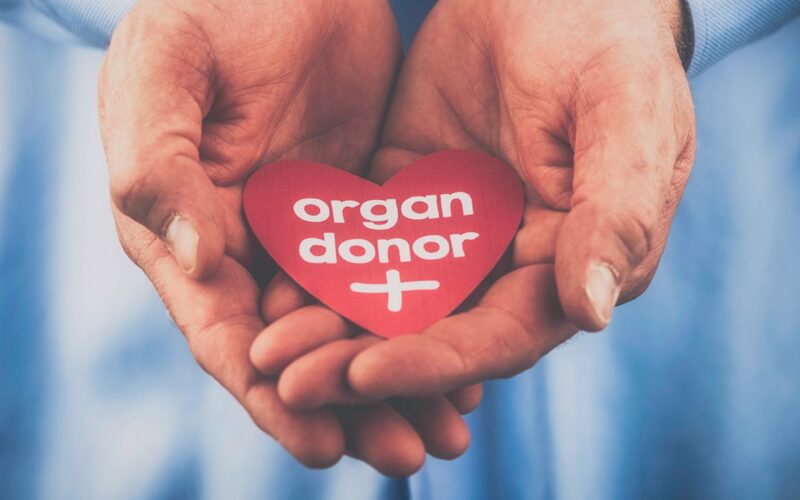 While currently each Australian State and Territory has its own legislation regarding organ donation, this article recommends one common scheme to apply to the whole country; it carries a focus on Western Australia. Whether presumed consent is implemented by the Commonwealth or individual States would be a matter for further discussion which is outside of the scope of this article. However, this issue is discussed where appropriate. Since 1977 Australia has had a semi-uniform approach to organ and tissue transplantation. This was recommended by the Australian Law Reform Commission (ALRC); its model legislation regarding the donation of human tissues and organs was implemented by all Australian States and Territories. For example, the Human Tissue and Transplant Act 1982 (WA) states that a person over the age of 18 who is of sound mind may consent to the removal of regenerative and non-regenerative tissue as specified in writing, and may revoke such consent if they wish. Across all Australian jurisdictions the current system is based on express (or informed) consent and assumes that people do not want to donate unless stated otherwise. This means that each individual must register their intent to donate on the AODR and specify which organs will be donated. The AODR is a national initiative whereby all Australians who have indicated their position regarding organ donation are placed on the same register, rather than having different registers for each jurisdiction. People can also register their objection to donation in the same way. This allows for a multi-jurisdictional system in that each State and Territory can create and enforce its own legislation regarding organ donation but have results available nationally. Having a multi-jurisdictional system also ensures that a person’s wishes regarding organ donation will be known by health professionals Australia-wide if they die in a different jurisdiction to the one in which they registered. If a person does not register their interest on the AODR at all, it will be presumed that they were unaware of the system, did not wish to donate or were not motivated to register. At this point family members of the deceased can be asked for consent and if they cannot be found or do not furnish consent, the organs will not be harvested. Within Australia, the support for organ donation is relatively high, with 77% of Australians wishing to become organ donors. Only 39% of eligible West Australians, however, have registered their decision. About 43% of Australians do not know the wishes of their family members regarding organ donation and less than 60% of families consent to the organs of a deceased loved one being donated. In addition, Western Australia has a significantly smaller pool of potential donors due to a younger population, a low mortality rate from motor vehicle accidents and strong neurological teams preventing brain death in many patients. Thus, while it would appear that Australia is managing the organ donation system in theory, in practice the low donation rates indicate the contrary. In 2010, Australia had 13.8 donors per million people, and around 1,700 people were on the waiting list for an organ transplant at any one time. Western Australia had the lowest donor rate, at only 9.6 donors per million people, while Tasmania had the highest at 19.7 donors per million people. These are both low figures “by international standards”. Between 1990 and 2002, Australia was shown to have a very low organ donation rate, having only around 10 donors per million people in 2002 compared with Spain which had approximately 35 donors per million people in the same period. Why is Australia’s Donation rate so low? Familial consent appears to be one of the major problems surrounding Australia’s organ donation rates, possibly due to lack of communication between family members. Section 22 of the Human Tissue and Transplant Act 1982 (WA) states that where registration on the AODR cannot be found or has not occurred, the deceased’s next of kin will be approached for consent to donate. However, given the small percentage of Australians who know of their loved one’s wishes and the percentage of families who do give consent, as mentioned above, this is not a practical solution. Furthermore, where several members of the deceased’s family disagree about whether to donate, then objections will prevail. This creates a problem if a person wished to donate their organs and the family refuses to consent. In many cases, the family may not accurately reflect the deceased’s wishes. It has been speculated that several attitudes among family members stop them from consenting to organ donation. First, many people are uneducated about the meaning of brain death and the process of organ donation. A survey in the United States of America indicated that 75% of adults surveyed said they would donate, but conversely, if a relative’s wishes were unknown to them, only 50% would consent to the donation. However, when brain death was explained to them, an additional 25% of people surveyed said they would allow the donation. Other concerns regarding donation include the possible delay of a funeral, the appearance of their relative during open casket funerals, and feeling that the deceased has “suffered enough”. • to inform the family of the brain death and to discuss donation. A medical professional’s role in the organ procurement process is often viewed as having a conflict of interest between preserving the life of the potential donor or receiving organs for another patient. In addition, health professionals are often reluctant to approach grieving and vulnerable families. Such reluctance may be due to their “cultural sensitivity”, their concern for the grieving family and their own discomfort surrounding death, as well as a fear of legal liability. It appears these fears have created a level of “organisational confusion” around the organ procurement process. Questions of legal liability arise due to a concern around the conflict of interest between the professional harvesting the organs, the potential donor and the patient who may receive the organs, and the family’s response to organ removal and being confronted with such a request. It is important to note, however, that the fears of legal liability are not unwarranted. For example, families (and many other people) may feel concerned that a doctor will not take reasonable steps to save their own life or their relatives’ lives if it were possible that their organs may be donated to someone else. This fear is potentially the biggest impediment to raising Australian donation rates. There have been a number of cases where medical professionals have faced lawsuits regarding organ donation as a result of family dissatisfaction. In 2008 a Californian doctor was charged with hastening a patient’s death in order to harvest his organs after telling the mother that there was “no hope” of her son waking from his coma. This case was particularly controversial because the patient’s heart kept beating after he was removed from life support (although he had been considered brain dead), and he then went into cardiac arrest while in the operating room. Dr Roozrokh was charged with wilfully administering lethal doses of morphine and anxiety medication, but found not guilty. In order to overcome this fear, different doctors would have to be responsible for treating a patient, diagnosing brain death and harvesting organs. Another particularly strong fear among the public is that their organs will be taken regardless of their lack of consent. A major and well-known case that illustrates this fear is that of Alder Hey, the United Kingdom hospital that was found to have removed, retained and disposed of human tissue and organs between 1988 and 1995 without consent. This scandal has had a damaging effect on the public’s view of organ donation worldwide and the credibility of organ procurement professionals. As such, a greater effort will be needed to educate and reassure the public that with adequate and strict regulation such a scandal will not occur under a presumed consent system in Australia. In order to increase donation rates it is apparent that a shift is needed in Australia both in the public sphere (such as public attitudes) and legislatively. On a global level, Australia’s donation rates are very low, particularly when compared to many European countries. For example, Belgium has double the donation rate per million people of Australia and uses a presumed consent system. Spain has also had success with presumed consent law; however, there was a 10-year lag before any significant increase in donation rates was seen. In contrast, Brazil actually saw a decline in donation rates after introducing the presumed consent law as a result of a lack of understanding by the community and a subsequent distrust of medical professionals. The Brazilian presumed consent laws were repealed after just one year of operation. Other studies have shown that “after a comparative review of five European countries before and after introduction of opt-out, an estimated 25% of the increase in donations per million people was associated with the opt-out legislation”. Furthermore, legislation alone was not regarded as being the only factor to account for that increase: the availability of donors, organisations and infrastructures, health care resources and public attitudes and awareness also influenced donation rates. It is interesting that presumed consent has worked in some countries but not in others. One might think that if the same laws were implemented in different places, the effects on donation rates should be similar. While this may be so in theory, it is different in practice as different jurisdictions have implemented presumed consent in different ways according to different public attitudes. After looking at the differences between alternative models of presumed consent, it will become easier to determine whether presumed consent is likely to work in Australia, and how it should be implemented. For example, Austria is currently using a “hard” version of presumed consent (and is the only country to use this version), where consent is strictly presumed unless an objection is formally registered prior to death. As a result, organ donation is not discussed with family members, with the exception of paediatric patients and foreigners. This system has been regarded as the most effective method of increasing organ donations, with kidney donations alone in Austria being more than double those in the United States of America. This stronger version of presumed consent is arguably what proponents have in mind when advocating for this system: it simplifies the organ procurement system by shifting the onus of registration to the smaller percentage of people who do not wish to donate, and removes familial consent from the process altogether. Belgium, on the other hand, has used a “soft” presumed consent model for more than 20 years and has double the donation rates of Australia. Opt-out registrations are recorded in a centralised system, much like Australia’s AODR. In contrast with Austria, medical professionals are encouraged to talk to the deceased’s family members prior to organ harvesting. Furthermore, medical professionals are not compelled to harvest the organs if they do not feel “comfortable doing so”. Despite speaking to the relatives of the deceased (who often refuse to donate) and the possibility of many medical professionals deciding not to harvest the organs at all, the presumed consent model used in Belgium has shown an increase in donations by 55% over five years, “even though traffic fatalities … decreased over that same time”. One suggested reason for this is that the public attitude in Belgium is one of great support for organ donation, and it may have become a cultural norm following the presumed consent legislation. Spain has the highest organ donation rates in the world but also uses a “soft” presumed consent model. The Spanish model slightly differs from that of Belgium in that the family is always approached before organ harvesting whether the deceased has registered an objection or not and the family’s decision will prevail where there are any inconsistencies. As with Belgium, perhaps it could be argued that Spain’s phenomenal organ donation rates are due to a positive public attitude towards donation. In order to replicate this public attitude in Australia, education campaigns and other implementation and reform suggestions are discussed below. The soft presumed consent model is more widely used than the stronger version, because medical professionals seem to prefer speaking to families before harvesting a deceased’s organs, yet it still shifts the onus of registration to those not wanting to donate. Healy argues that these softer versions should be labelled as “required request” or “routine salvaging”, due to the familial contribution to consent. As can be seen by a number of different implementation methods, presumed consent systems have had varying effects across the world. The next section explores some reasons for the success of the presumed consent model. By having a comprehensive knowledge of the reasons for successes, it will be easier to find a system that would work best for Australia based on public attitudes, and allow organ donation rates to increase. There are several reasons why a presumed consent model would increase organ donation rates. First, by reducing the weight placed on familial consent (by potentially not considering it at all), there would be fewer refusals. However, in response to the common fears of the public (and the backlash that would result from not consulting families), most countries who have a presumed consent system still contact the family prior to harvesting. Furthermore, as a result of continuing to contact families, the emphasis on whether to donate can be shifted from asking whether they do consent, to asking if there is a reason to object to the harvest. A simple change in communication structure will change the default position and the social norm regarding donation. The phrasing of the question may have a very significant impact on whether a family agrees to donate or not. Furthermore, statistics show that generally people seem to be willing to donate their own organs after death, but are less willing to donate their relative’s organs. If the society as a whole already supports organ donation, it seems unnecessary to then make each person register that support. Since it is a minority of people who oppose organ donation, the onus should be on that group to register their dissent. Shifting this onus would not only mean that fewer people are inconvenienced by having to register, there will be fewer people to track on a centralised system. There would be fewer people with the same details, fewer registrations to upload onto the system and therefore fewer complications and delays when medical professionals check the system prior to harvesting. It has also been argued that the people who object to organ donation feel more passionately about that decision than those who support donation. If these people do, in fact, feel more passionately about the issue, they would be likely to go to greater lengths to ensure their objection is registered – much like a Jehovah’s Witness would ensure their objection to a blood transfusion was registered or a vegetarian would ensure their objection to meat was noted by a treating hospital. With these resources being used more efficiently, more time, money and resources can go to other areas of the harvesting process, such as medical and ethical training for health professionals, and education of society as a whole, to ensure that every person knows the law, the system, their rights and how to register their objection. Through this shift, a presumed consent system of organ donation will ensure a smoothly running system that is easy to manage and easy to understand. This, in itself, should provide for higher donation rates, as has been the result in other countries. The main objection to a presumed consent system of organ donation is that there is a chance that people will have their organs removed after death without having consented, thereby violating the principles of individual autonomy. Cases in the United States of America have discussed the constitutionality of a presumed consent model based on the argument of individual autonomy being compromised. In Brotherton v Cleveland 923 F 2d 477 at 479 (1991) Mrs Brotherton sued after her husband’s corneas were removed without consent. The United States Court of Appeal for the Sixth Circuit found in favour of Mrs Brotherton, and held that under the American Fourteenth Amendment, which prohibits State and local governments from depriving persons of life, liberty or property without certain steps being taken to ensure fairness, she had a right to control the disposition of the body. The Fourteenth Amendment does not apply in Australia, although the Australian Capital Territory and Victoria have human rights legislation; however, it is significant that the preference of the wife and her personal autonomy to control the handling of her husband’s body were upheld over the interests of the eventual recipients of her husband’s corneas. Similarly in Newman v Sathyavaglswaran 287 F 3d 786 (2002), the coroner avoided speaking to family members about organ harvesting so no objection to the removal of corneas could be recorded. The United States Court of Appeal for the Ninth Circuit decided similarly to the Brotherton court in that it attached a property right to the handling of cadavers through the Fourteenth Amendment. While the property right and Fourteenth Amendment do not apply in Australia, these cases do provide an interesting point that perhaps the rights of the families should override those of the public or the state in whatever benefit harvesting organs without consent may provide. The biggest rebuttal to the above argument (that removing a person’s organs without their consent is morally and ethically wrong) is that not harvesting a person’s organs when the deceased had in fact wished to donate is just as morally and ethically wrong. The questions for society then, are first, which would be a worse result, and secondly, which would happen less frequently? Given that most people are willing to donate their organs, it can be speculated that harvesting organs where the deceased would not have consented is not as likely to occur as refusing to harvest organs when the deceased would have consented. Gill argues that mistaken non-removals are just as bad as mistaken removals, and that the policy that produces fewer mistakes overall would be the best policy to implement. Another argument is the belief that the whole community needs to be considered, in that the interests of the many must be weighed against the interests of the individual. The question here is whether or not it is better to allow someone to wait (and potentially die) for an organ, just to ensure fewer mistaken removals are made than mistaken non-removals. Alternatively, is it better to risk a mistaken removal when there are multiple lives that will definitely be saved by that mistake? This is a highly controversial consideration which clearly underpins the struggle with deciding on an organ donation system that will be approved by society and implemented well. Coinciding with the concern many people may have that their organs will be removed without their consent come a myriad of myths and fears surrounding organ donation and medical professionals. Other than the above-mentioned fear that doctors will not work hard enough to save a person’s life, the biggest myth surrounding donation is that many religions are against it. In reality, organ donation is consistent with most religions. In fact, while most religions regard organ donation and transplantation as acceptable (and others claim it to be an individual choice), it seems the only religions which deem donation to be unacceptable are Gypsies and Shinto. As a result, while many people believe a system of presumed consent would discriminate against ethical beliefs based on religion, this is actually not so because there is still the option to register an objection. Furthermore, it has been argued that a system of presumed consent undermines the very principle of individual autonomy and challenges the definition of consent. The concept of consent is one which states that consent cannot be presumed, but must be expressly given. Consequently, if organ donation in Australia were to be organised by presumed consent, then some may argue that the removal of organs when someone did not expressly give consent would be an invasion of their body and a violation of their will. Similarly, while a medical professional cannot perform any medical procedure on a patient without their express consent (except for an emergency or other legislative exception), it is questionable whether the principle of consent can then be reversed for organ donation alone. The converse argument to this is that the presumed consent system does still ensure individual autonomy provided there is an adequate and well-publicised opportunity to express an objection. While it is clear that in both systems there is a level of autonomy in that both require individual action regarding registration (it is just what they are registering for that changes), the moral grey area lies in situations where a person has neither registered support nor objection. Another ethical or moral issue pertaining to organ donation as a whole (which actually works in favour of the presumed consent system) is that, due to such a severe shortage of organs, people seem to have resorted to the black market in sheer desperation to acquire the organ they need. While it is not commonly discussed in the media, a black market does exist in many nations such as India, Poland and Russia. The black market tends to exploit the poor in favour of the rich: people who are struggling to make ends meet may sell an organ or sacrifice their health for a monetary payment to ensure a livelihood for their families, and in many circumstances only the wealthy will be able to afford to “buy” an organ. People may travel overseas to receive an organ. Doing so often compromises their health and quality of medical treatment received because these black markets are often illegal and therefore operate without the skill and standard expected of medical professionals in Australia. Presumed consent would potentially eliminate this factor because it would increase the organ donation rates so much that people would not need to travel overseas for such a purpose. It has also been argued that perhaps a market system would be beneficial because it would provide people with a financial incentive to register for donation. However, ethical and moral arguments arise about whether the human body can be treated as a commodity, and often result in the market system being rejected. 114 It is outside the scope of this article to discuss a market system of donation further. As outlined above, Australia’s organ donation system is failing to provide adequate numbers of organs for the patients requiring transplants. Compared to other countries, Australia has some of the worst results globally. On the other hand, Spain is renowned for its excellent transplant figures, and its presumed consent system of organ donation has even been labelled “the Spanish Model”. Thus, in order to increase donation rates in Australia, a system closely modelled on the Spanish Model (or one of the other European systems) could be implemented, even for a trial period. While a model of presumed consent is strongly suggested, the softer model would be the most appropriate and acceptable version, following the trends in many other nations. Austria is the only country with a successful strong version of presumed consent. Including families in the organ donation process is likely to avoid public resistance, aiding an increase in donation rates. As discussed, one of the major issues with the presumed consent model is the definition and requirements of consent. Prior to any systematic or procedural implementation, the Australian Government would need to address the legislative concerns surrounding consent, and the rules surrounding organ harvesting. The changes in legislation would need to define consent clearly and provide jurisdiction for the government to presume consent in certain situations. A Private Member’s Bill proposing a presumed consent system for Western Australia was discussed in Western Australia in 2010; however, it has not yet been made into legislation. Other Australian States such as Victoria are initiating discussions into a presumed consent system following those that have occurred in Western Australia, indicating the increased popularity and support the system is attracting. Ideally, if each State and Territory agreed to implement the changes to their Human Tissue Act , the AODR could remain active, but the emphasis of registration could be changed to reflect objections rather than intentions. Considering Australia already has both a State- and Commonwealth-based system (because the States have their own legislation but there is a centralised register), this aspect of the current system would not need to change; only the information held within the register would change. If this were possible, then even the way in which people register those objections could stay much the same. Currently, forms and pamphlets are sent out with driver’s licence renewals, and there is an option to register online. These methods could still be used, but their purpose would change from registering to donate, to registering not to donate. By keeping the registration process as similar as possible to what it already is, costs to the government could be kept down. In fact, the biggest cost to the government would be the legislative change itself and the advertising and educational campaigns required to ensure the public are fully informed of the new system. This would provide an easy system for the public to become accustomed to because there would not be a lot of change, and the changes made would not be complicated. Furthermore, because statistics show that there are fewer people who object to organ donation than those who consent to it, once the AODR has changed to reflect the objections, registering new ones will become relatively quick and easy because there would be fewer of them to process. Thus, by keeping implementation methods as close to the current form as possible, shifting the Australian organ donation system would not be too complex for either the public or the government. However, while the Human Tissue Acts in all jurisdictions would need to be amended to reflect the change, it is possible that not all States or Territories would want to change to presumed consent. This alone might be problematic because the AODR would then need to ensure it reflects the correct preferences of each State, which may become confusing if a person registers under the laws of one State but dies in another. Despite this, it would still not be necessary to remove the AODR, but to ensure it is capable of registering both objections and consent. Thus, the register would need to show which State the person registered in, because family will still need to be considered before any organs are harvested and their opinions and likelihood of consenting to organ removal may depend on which laws they are familiar with. A question then arises regarding when a person dies and is a potential donor but has not registered at all. Which laws operate with regard to overriding their consent? Should it depend on the State they generally reside in, or the State in which they died? It is safe to say that the family should be consulted regardless, but in the event that no family can be found, is it better to presume consent? This could usefully be considered by the Australian Law Reform Commission and by each State prior to any legislative change. Generally speaking, if Australia were to implement a presumed consent system for organ donation, to avoid confusion there should be a provision in each State’s legislation concerning the circumstances in which removal of organs will be permitted when family cannot be contacted. This has been implemented in several States of the United States of America for both people whose family cannot be found, and for those who will undergo an autopsy. For the AODR system to be changed to reflect presumed consent laws, there must also be adequate public education on the meaning of presumed consent, what the changes involve and the fact that people will still have their individual autonomy, along with reassurance that families will still have a say after their death and that medical practitioners will no longer be in a conflict of interest. Currently, Australia advertises the need for organ donation through television commercials which have assisted in raising donation rates. Those advertisements focus on the fact that many families do not know the wishes of their loved ones when it comes to organ donation, and aim to spur such conversations among families. If the same television time slots are kept with the same intentions, along with additional education techniques such as pamphlets sent in a mail drop explaining the above and individual rights, there should be no reason why a person would be left uneducated about the system. Education would need to include current donation rates, including the number of people who die while waiting for an organ, and why it is so important for Australia to change the system. If Australia was to implement a presumed consent system on a trial basis, this would need to be relayed to the public, reassuring them that if the system does not work or there is opposition to it among Australians, then the system would change back. Without this education, the fears and concerns described above will heighten. The expected result from poor education occurred in Brazil in the early 1990s. Brazil’s presumed consent laws were abolished just one year after implementation because organ donation rates actually decreased as a result of public dissatisfaction and distrust. To avoid this result in Australia, it would be imperative for the public to be well educated, informed and reassured on the new organ donation laws. With such education, the high rates of families refusing to donate their loved one’s organs may well decrease, as a presumed consent system became the norm. If Australia adopted a soft presumed consent model where the views of families are still considered, there needs to be further education on how medical practitioners can approach and ask for consent when required. Currently, medical practitioners ask families if they will donate organs. Under the presumed consent system, medical professionals will seek a reason why someone would object. If the question families are approached with is changed in this way, there may be a chance of increased donation rates, because the answer to the question is not their personal opinion, but rather the deceased’s wishes. For example, if the professionals ask the family, “Do you want to donate X’s organs?”, their opinions and feelings are called into question, in which case an answer is likely to be “No, because of A, B and C”. However, if the family was asked, “Can you think of any reason why X would have objected to organ donation?”, the family is forced to consider the wishes of the deceased, and even if they do not know the answer there is a high chance the answer will be “No”, and as such the donation can go ahead. Therefore, educating medical professionals on how to approach families in such a difficult time is just as important as educating the public, because it could mean the difference between consent and objection. Presumed consent systems of organ donation have been highly successful in Austria, Belgium and Spain following appropriate legislative changes and public education measures. Australia’s organ donation rates pale in comparison, and many people in Australia die each year while waiting for an organ. It is, therefore, important for Australia to implement the changes discussed here. However, despite whatever measures are taken, it is not likely we will ever reach a perfect ratio of donors to recipients. According to Annas: [L]egal solutions to the organ shortage problem will never succeed because the real problems involving the organ shortage are not legal. They are … primarily psychological. If this observation is true, then regardless of whichever organ donation system Australia adopts, until public attitudes change and many fears and myths are alleviated, there is no way to ensure there are enough organs harvested for the many patients who await them. Furthermore, the Australian government (whether State or Commonwealth would be determined according to how the legislation would be implemented across the country) would need to invest in widespread education of the public and medical professionals regarding rights, fears, myths and techniques for approaching emotionally vulnerable families in order to decrease the chance of refusal. Such education is credited with giving Spain its successful donation system rather than just the shift in legislation. Due the already centralised registration system with the AODR, the only change that would need to be made in that regard is to shift the emphasis from intent to objection. Considering statistics show that most people would be willing to donate their organs, there would be fewer people listed on the AODR, which would in turn make the process of finding a person’s objection easier than finding their intent in the current system. Such an increase in speed will then mean that the whole transplant process can occur more quickly, ensuring that organs have less chance of dying prior to donation. State and Territory governments could maintain their individual Human Tissue Acts, and follow a presumed consent model much like they already do for the current system. It can be concluded that to change from an opt-in system to an opt-out system would not be a particularly inconvenient or costly exercise, as many of the structures needed are already in place. It is just the emphasis that needs to be changed in addition to continued and possibly more intense education of the public. With Australia’s current donation rates as low as they are, there is nothing to lose from at least trialling a presumed consent model of organ donation. Please call us on (08) 9335 9877 or complete the form below to request an Introductory Consultation.